These composting toilet FAQs mainly relate to our urine separating, twin vault toilets. What are the vaults made from? This depends on your situation. We typically supply preformed glass reinforced concrete (GRC) vaults or tanks to be installed underground. Above ground vaults might also be constructed on site from masonry by your own builder to our specification. 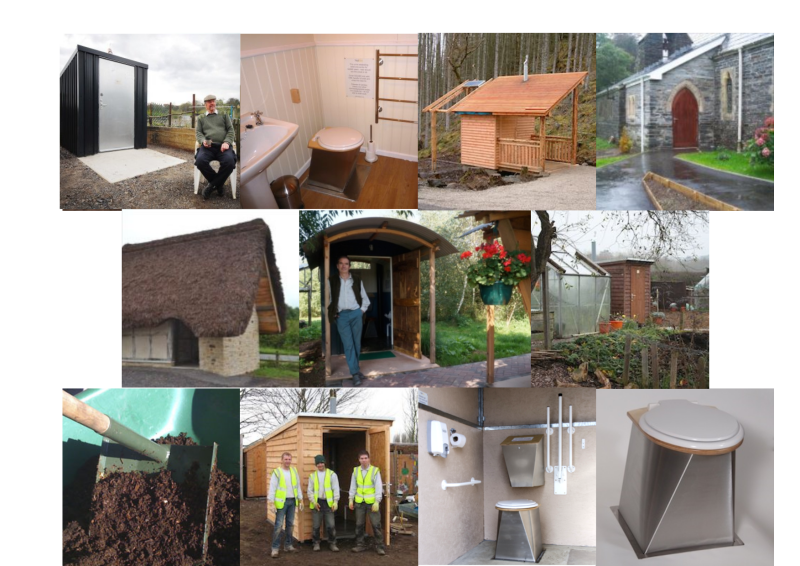 Can composting toilets be made suitable for wheelchair users? Our COMPUS TWIN FULL ACCESS toilet is wheelchair accessible under current building regulations. On most sites the floor level will be only 150mm above surrounding ground level. A ramp of approximately 1.8 metres length will give access which complies with building regulations. We do not supply an alarm system for these toilets as most go on remote sites without electricity. Do I need planning or building control approval? It is often necessary to have planning and building control approval from the local authority before installing composting toilets. Although the responsibility for acquiring these consents rests with you, the client, we are happy to assist in acquiring them and have considerable experience in so doing. No local authority has so far refused. Representatives from the Building Research Establishment inspected several NatSol toilets to assist them in eventually determining appropriate standards and regulations for composting toilet installations. How is the finished compost emptied and what can be done with it? For our “in-ground” composting toilets we supply a custom made shovel for emptying the compost through one of the front floor hatches. A small layer of compost is left in the bottom to supply decomposing organisms for the next cycle. If the management instructions have been followed and if the resting vault has been left for a minimum one year period the compost should be odourless, friable and pleasant enough to remove. The compost should be used or disposed of in accordance with Environment Agency and/or Local Authority guidelines or, in the absence of any official advice, further composting can be carried out in a dedicated composting facility on site before eventual use or disposal. You should not assume that it is completely free of disease causing organisms. Some human parasite eggs can survive for many years in compost and although these are generally only found in tropical or sub-tropical populations we advise against using finished compost on food crops. We will provide further advice if you purchase one of our toilets. Does it take much time to manage a NatSol Full Access compost toilet? Really very little, but it is important to remember to check certain things on a regular basis. A set of management instructions will be provided with every installation. Are flies a problem with composting toilets? We would be a bit surprised if any manufacturer of genuine composting toilets claimed they had never had flies in one of their toilets. There are a large number of dung fly species in the UK and due to their small size they can fairly easily find their way into a toilet vault. However, we are pleased to report that owners of our toilets very rarely report any problem with flies. It they do it is usually because the vault contents have become too wet. This might be due to inadequate maintenance for the level of use and can usually be resolved by a change in the management regime. Dung flies are not likely to act as disease vectors because they are not usually attracted to food. Why is the pedestal the shape that it is? Good design requires that form follows function. A WC pan is shaped as it is to make flushing possible. In an un-flushed toilet it is important to shape the pedestal to avoid fouling the inner surfaces. Do the toilet buildings come supplied with a light? A light could be fitted, running from a photovoltaic panel or a mains supply, but NatSol does not supply cubicle lights. Is it possible to have a single vault NatSol toilet? NatSol has developed some single chamber designs. Whilst twin vault toilets have many advantages there are situations where single chamber designs may be more appropriate. The NatSol Compact toilet is suitable for low use private situations and the Zero Discharge is suitable for high use public toilets. How many people can use a Full Access toilet? It depends on the situation. If used as the only toilet by people living on site then typically up to 5 people. For daytime use, e.g. on allotment sites, up to 25 uses per day. Intermittent peak loadings can be much higher. Why does the Full Access toilet have two vaults? The two vaults provide a batch processing system. One vault is in use whilst the other rests so that when compost is removed even the newest deposit has had a whole year to decompose. Systems which use a single vault rely on the height and gradient of the vault to separate fresh wastes from older wastes but this doesn’t give good separation. Why not get rid of the urine by evaporation? In the relatively cool and wet UK climate getting rid of urine by evaporation is likely to be very unreliable. Another reasons is that wet systems can be more prone to infection with certain species of insect such as drone flies. Urine from seated users is diverted away from the compost pile. This is beneficial as it reduces the amount of “soak” material required and makes it possible to reduce vault size. Vault drainage is not required and the risk of ammonia smells is virtually eliminated. A ceramic wall mounted urinal is usually provided for men. Urine is a very useful fertiliser since it contains an almost perfect balance of plant nutrients. Subject to any statutory requirements we usually advise on disposal of urine to ground where some of the useful nutrients can be made use of by plants. Does anything have to be added to the toilet? [iv] cover the wastes. We will advise on a suitable soak material for the type of toilet you decide to purchase. The Zero Discharge toilet does not require additions of soak. Can compost toilets fit in the space taken by a WC? NatSol is not aware of any genuine composting toilet which fits in the space taken up by a WC. There are some toilets which are not much larger but these are usually incinerating or dehydrating toilets or “bucket” toilets. The critical dimension in most situations is not the floor area taken up by a composting toilet but the space required below the floor. In particular, the depth of vault required. NatSol toilets can be constructed with as little as 750mm vault depth and because there is no requirement with an NatSol toilet for drainage from the bottom of the vault it is possible for the vault to extend below ground level. How is the toilet ventilated? Ventilation takes place down the toilet pedestal. This removes odours at source. Consequently, our toilet cubicles can be expected to smell less than WC cubicles. Most of our toilets are passively vented but in the case of fully enclosed cubicles in buildings which have other functions as well we recommend fan driven ventilation using a 1W fan. This supplies the cubicle ventilation required under building regulations. With remote toilets on, for instance, allotment sites we have never known a case where passive ventilation was not wholly adequate. Why should I have a composting toilet? No smell, no splash, and a silent dry ‘flush’. For sites without existing foul drainage. For sites with drainage problems such as clayey soil and a consequent need to reduce the volume of waste water. Where water supply is unavailable or unreliable. From a desire to reduce water consumption for cost or environmental reasons. To eliminate frost or flooding risk in unheated buildings. From a desire to recycle organic wastes and to avoid the requirement to have sewage sludge removed by tanker. Will a NatSol composting toilet smell? No. In customer surveys no respondents have reported odour problems. What do other people think about our toilets? Click here to view a page of testimonials. Why might I choose the NatSol Zero Discharge model? It is suitable for public sites with high levels of use. It does not discharge urine to ground and might provide a waterless toilet solution in Sites of Special Scientific Interest and/or in Groundwater Protection areas.